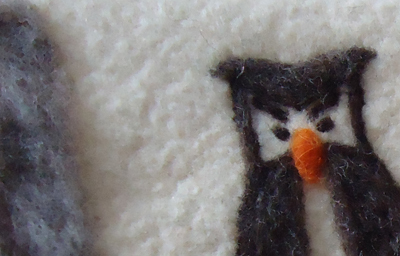 I go from cutting to needle-felting and hand stitching. 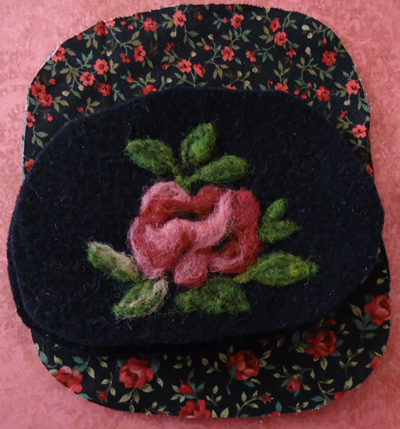 My earliest goal of 2012 is to complete many small wool purses, checkbook covers, button bags and pincushions for the Local Artist Market Weekend May 12th and 13th (Mother’s Day weekend) at 70 Main Street, Greenwich, NY 12834. This venue will include several local artists’ work and is currently being planned by Zaidee Bliss of Align Again Yoga. I am thrilled to be included and hope that many of my readers might get the chance to come. She is planning to have the participating artists there throughout the weekend to meet and visit with guests. Jon Katz, a local New York Times Best Seller author is to speak on Saturday at 2 p.m. He is a delightful story teller and a most entertaining and inspiring speaker. His wife, Maria Wulf will be one of the featured artists. For more information about them and their work see their websites at: www.bedlamfarm.com/ and www.fullmoonfiberart.com/. Hours for this show are Saturday 10-6 and Sunday 11-3. I can’t wait to meet the other artists that will be featured. 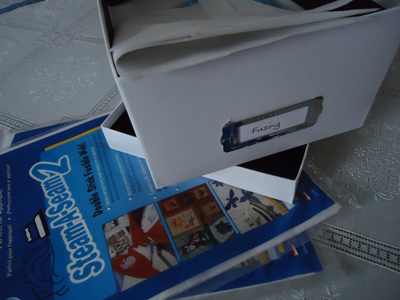 Having my projects pre-cut, I can jump right into sewing. I group my work in terms of tasks. 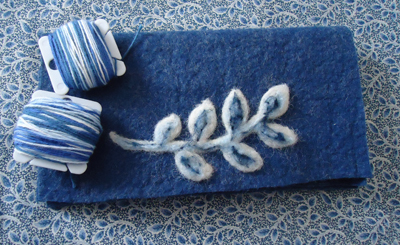 I first do my needle-felted items. This process will be discussed in detail in a future blog, but for now I will include my photographs of some of my current projects. Then I fuse my linings to my bag pieces. These will all be stitched in place as well. 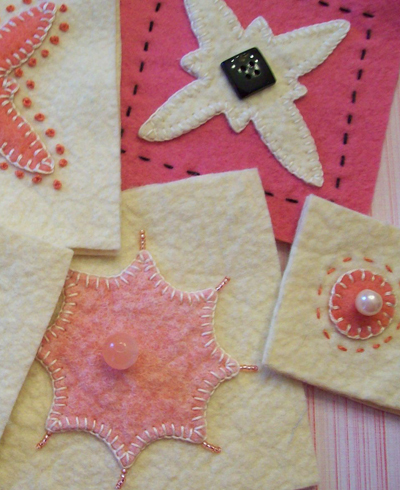 I then assemble the pieces, sew zippers and do decorative blanket stitching around the edges. Choosing contrasting or matching colored zippers and threads of various weights add to the rich detail that I like. I also embroider, my bisornu pin cushions, and also the tops of my tomato pin cushions and make their stems as well preparing them for machine stitching and then filling them with crushed walnut shell. One of my readers noted my organization. It is my strength to be sure and counters my weaknesses, but that is for yet another blog. I cannot wait to share more of my work that will soon be available in my Etsy store!